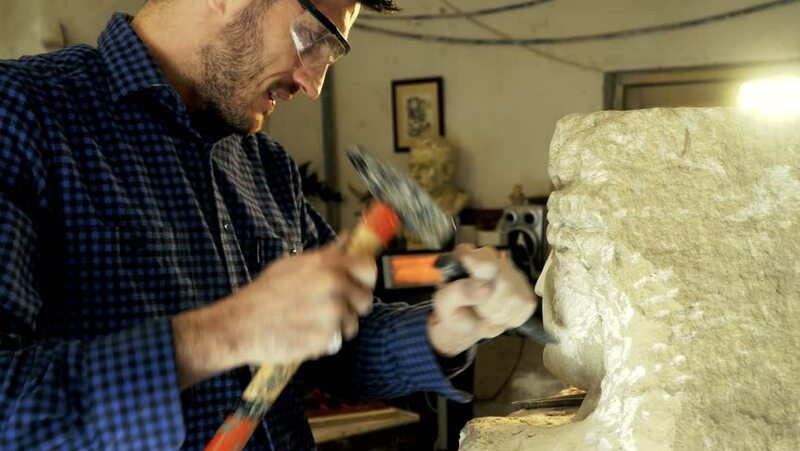 Man and profession, people and job, craftsman at work in his atelier, working with stone and sculpting statue. Closeup of hands and hammer of manual worker, artisan in workshop. hd00:12BHAKTAPUR, NEPAL - DEC 5: Unidentified Nepalese man working in the his wood workshop, Dec 5, 2013 in Bhaktapur, Nepal. 100 cultural groups have created an image Bhaktapur as Capital of Nepal Arts. sd01:261950s - The kitchen is cleaned up while Tommy is in school and his laundry is done. 4k00:10Man and profession, people and job, craftsman at work in his atelier, working with stone and sculpting statue. Closeup of hands and hammer of manual worker, artisan in workshop. 4k00:19Stone sculptor. Painstakingly chipping away at fine. Intricate details of a stone work of art.